This pair is from our Sunday Morning collection reflecting styles from the forties, bringing you all that class with a modern twist. They're unlined, made from select Italian leather, table cut and sewn in half pique style. They can be ordered with lining, call us for more details. 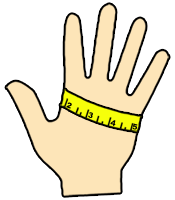 Your glove size is the measurement around your knuckles in inches. 7 1/2" around your knuckles = Size 7 1/2 etc. Gaspar Gloves's customer service goal is simple: We are committed to providing our customers total satisfaction. Every time. Guaranteed. Copyright © 2019 Gaspar Gloves.